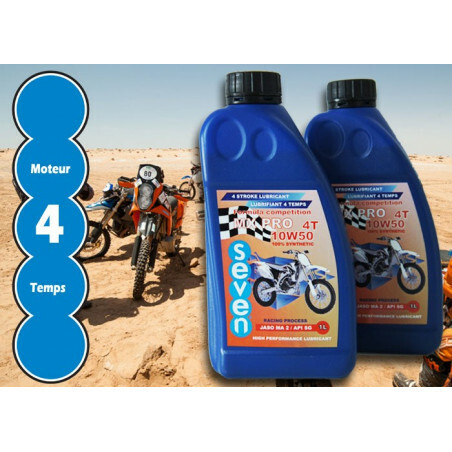 SEVEN MX PRO oil is an engine lubricant 100% Synthetic exception for the competition. His specific formulation elaborated from bases and additives very high-end, assure an optimal driving protection and efficiency. - Use for cross-country competition. 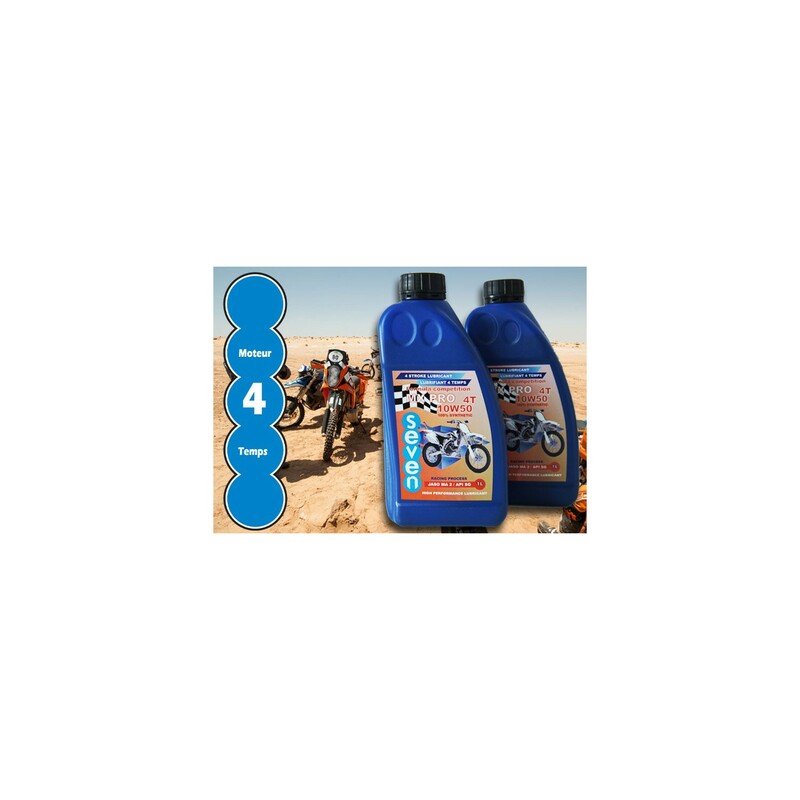 Tested on rallies and raids (Africa Eco Race and Raid de l’Amitié).